If you are looking to ask the man to ask of all things .net core any questions related to the matter. 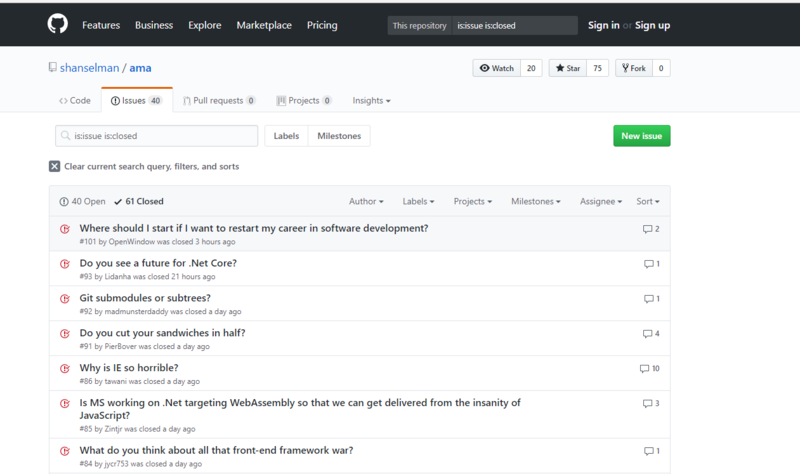 You must check out his GitHub AMA (Ask Me Anything) issue tracker on his GitHub. There are questions ranging IOT with .net core and the Raspberry Pi to what type of learning of code which Scott prefers. Previous Previous post: Devrant the Community every Dev Needs!